Sometimes the grandest adventures begin with small, yet incredibly important events. This is why a trip to Pine Nursery Park In Bend Oregon, located at 3750 NE Purcell Boulevard, should be at the top of your “List of Things to Do While Exploring Bend!” This is where the family can come together for games, exploration, or just a simple picnic on a park bench and learn how to reconnect. Our real lives tend to be messy ventures filled with late meetings, school events, traffic jams, and strife, but your Bend vacation is one meant to be filled with family adventures that draw you back to what is important: your family! 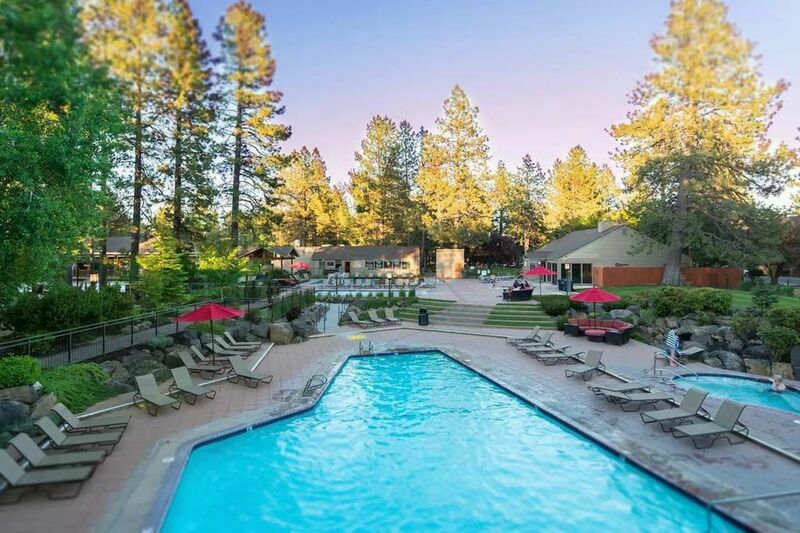 Pine Nursery Park In Bend, Oregon is a magical expanse of emerald green grass filled with adventures that are sure to appeal to every member of your family! Softball fields, soccer fields, pickleball complex, and even a disc golf course are some of the sports amenities you can find here. What is pickleball you ask? This local sport is a combination of tennis, badminton, and ping pong and is one of our favorite pastimes. If you get a chance, you should try it out at least once during your vacation! The extensive trail system through the park gives you plenty of opportunities to get out there and experience nature, and if you happen to have brought your favorite fur baby along, an off-leash dog park located in the park is a great place for Fido to work off some of that excess energy; there is even an area set aside for your smaller pooches! Responsible pet owners know to clean up after their animals, and if your dog has aggressive tendencies, this 14-acre park may not be meant for him! A playground for kids of all abilities, an irrigated pond for fishing, even a paved trail for bikers and hikers—the adventures of Pine Nursery Park are endless. One of the favored park activities in our family is to bring a picnic lunch on a Saturday morning. Each of us picks a sport to watch, and when it is time for lunch, we all come together under the pavilions and talk and laugh while enjoying the food in our cooler. Family time is important, and Pine Nursery Park helps make it easy and fun! A Bend vacation is more than just an opportunity to see new places. This is the trip that will rebuild family bonds! Reserve your Bend Vacation Rentals family home today and prepare to be reminded about that great sense of humor your daughter has or that strong sense of protectiveness that hasn’t always been apparent in your son. Contact us to learn more about Bend Oregon tourist attractions.